Tracey comes from a 20 year hospitality background, the legacy of which was a tired injured body full of biomechanical movement patterns that were incorrect – resulting in pain. She stumbled into a Soloman Yogalates class run by Maria Kirstin in 2000. It was amazing to see the gradual improvement that a regular yoga practice focusing on functional movement patterns made to her overall health. She studied the Solomon Yogalates method in 2007 – 2008, and with Maria as her primary teacher, has been teaching weekly classes since then. 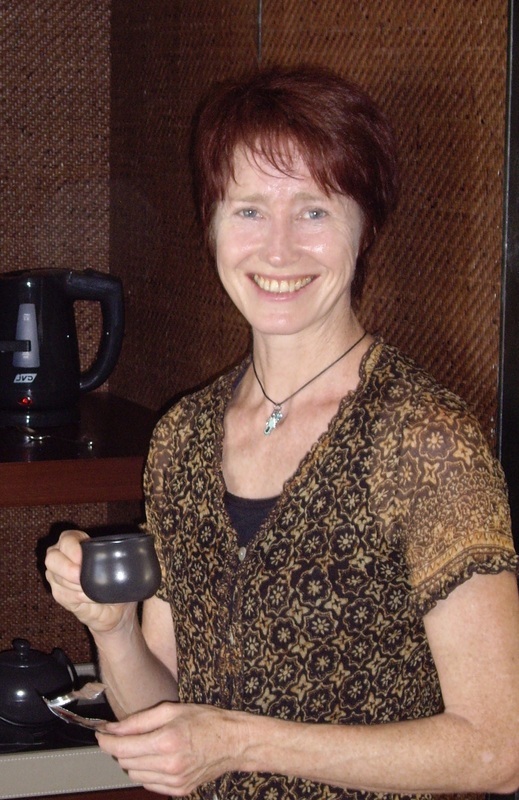 Since beginning to teach, she has also studied the Tattwas Shuddhi Sadhana ( 5 Element Purification) under Peter Clifford . These mentors inspired her to learn more and focus on the internal and external benefits of a regular yoga practice on each body. Tracey is a guest Anatomy and Asana teacher for the Santosha Yoga School. She practices and teaches her classes with joy and gratitude, feeling honoured and blessed to have the opportunity to observe the new paths embarked and ventured upon by others in their practice.